• Glad that you decided to come out your Senior year, after a two year hiatus – I was hoping that the health bug would be a little more kind to you, but you managed to get a few punts, kick-offs, and extra points off, this year. I hope you enjoyed the season and I wish you the best in the future. • You worked your tail off in the off-season, and believe, or not, it showed. You were our highest “1/2 ton club” member with 1,110 pounds, and you should be very proud of that. Also, you led our team in rushing yards and played a very iatrical part of our offense. I wish you the best of luck the rest of your senior year. • You have proven that it’s not the size of the dog in the fight, but the size of the fight in the dog. You, at 140+ pounds, have placed some hard hits on opponents in your career. I will miss your quiet leadership and ‘leader by example’ ways. I hope that you do well the rest of the way. • You could have been selfish, this year, and insisted on playing Tight End, but you were a team player and played Tackle for us – that meant a LOT, Dan. This showed me what kind of leader you were and put the team ahead of you…that ‘s why you were a captain, this year. I wish you the best, the rest of your senior year…enjoy it…it goes by quickly. • Paul…you’ve started something special that I hope continues for a long time. It started innocently at a practice, and has grown exponentially! “Warriors! What is your profession?! ?” will always be attached to you and the 8th scene from “300” (no Spartans, though). 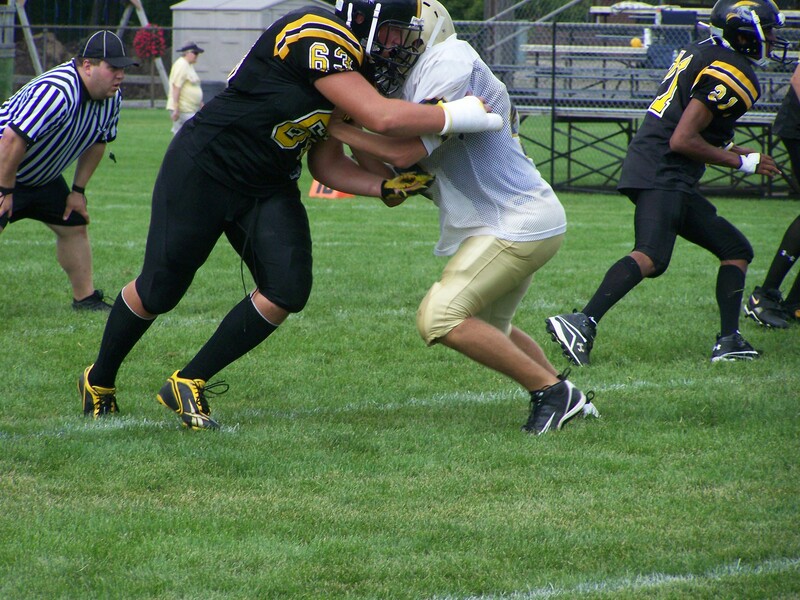 You’ve been our spiritual leader and will always have a special part of Waupun Warrior Football lore. I wish you the best! • You worked your tail off, this past summer, and it showed! You were our charter member of the “1/2 ton club” and showed others, on the team, that it was attainable. Your “1095” was a milestone to chase after and pushed others to do better. I know your love is Track & Field (shot put and discus) and I hope you demolish the school record in the shot put. You’re a few feet away and I wish you the best Bobby! • I’m glad that you ‘crossed over’ from cross-country, to football. I hope it was worth it to you. I know that you played all year, through a knee ailment, that kept you from going 100%, but displayed your physical, and mental, toughness throughout practice, and games. I wish you the best in your favorite sport (wrestling) and the rest of your senior year at Waupun. • You break the school high jump record, things are going well for you, and then you’re told that you will miss your senior year of football. I’m glad that the good Lord granted you, at least, one game, to get a taste of varsity level football. I wish you the best and hope to see you create more distance on the school high jump record, and leave this place a state champ, in this event. 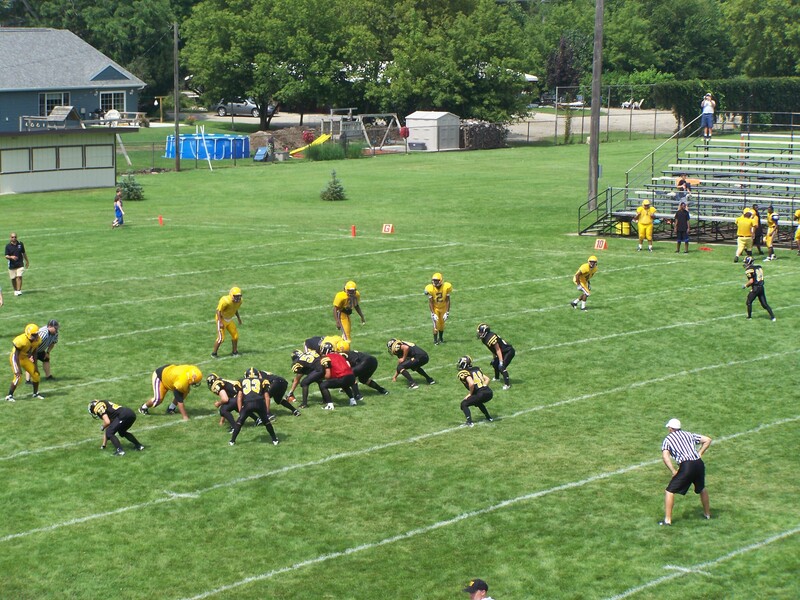 Copyright 2010 Waupun Warrior Football. All rights reserved.